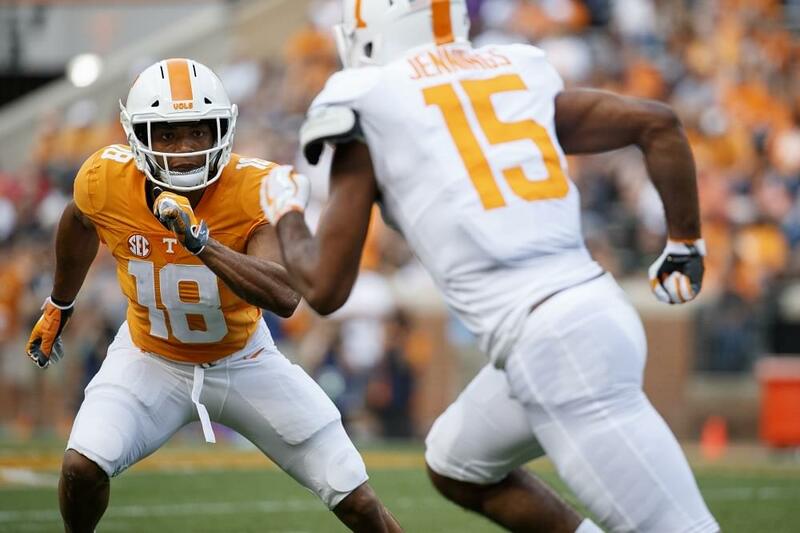 KNOXVILLE, Tenn. – Week 1 of the regular season wrapped for the NFL yesterday on Monday Night Football and three VFLs made their professional football debuts over the weekend: Jason Croom, Trevor Daniel and Rashaan Gaulden. Catch up with all of Tennessee’s former players below. Updates will be posted each week on UTSports.com. Barnett started Philadelphia’s first three games of the preseason, recording two tackles at Cleveland. To kick off the regular season, the Nashville native earned the starting position versus Atlanta and tallied two tackles. Berry did not play in the play in the preseason or in the Chief’s Week 1 game versus the Los Angeles Chargers. Bray played in four preseason games for the Chicago Bears in 2018, completing 60-of-97 passes for 652 yards and one touchdown. The California native was named to the Bears’ practice squad to the 2018 season. Coleman started two of four preseason games for the Seahawks, totaling six tackles and three passes defended. In Seattle’s Week 1 game at Denver, he entered off the bench and recorded one tackle. Colquitt played in all four of Cleveland’s preseason games, recording 15 punts for 618 yards. He landed five inside the 20-yard line and averaged 41.2 yards per punt. In the Brown’s Week 1 game against Pittsburgh, Colquitt punted 12 times for 522 yards and pinned the Steelers inside the 20-yard line six times. Colquitt averaged 43.2 yards per punt through four games in the preseason for the Chiefs. In Week 1 of the regular season versus the Los Angeles Chargers, he averaged 51.2 yards per punt and landed three of his five boots inside the 20-yard line. Colquitt’s longest punt of the game was a 67-yarder. Cox served as the Ravens primary long snapper in the preseason, playing in four games, and saw action in Baltimore’s 47-3 rout of the Buffalo Bills in Week 1 of the regular season. Croom tallied three receptions for 60 yards through three preseason games for the Bills. In Week 1 at Baltimore, Croom saw action off the bench and caught two passes for 18 yards, including a long reception of 10 yards. Daniel played in all four of Houston’s preseason games, punting 10 times for an average of 45.3 yards per punt, before winning the roster spot as a rookie. In his NFL debut against the Patriots, Daniel landed three of his six punts inside the 20-yard line and averaged 38.3 yards per punt. Dobbs played in three preseason games for the Steelers, getting the starting nod against Carolina. He completed 29-of-43 passes for 434 yards and four touchdowns while rushing for an additional 64 yards and a score. The Georgia native did not see action in Week 1 of the regular season. Ellis saw action in all four of Kansas City’s preseason games and earned a start in the final game of the preseason versus Green Bay. He caught 10 passes for 93 yards, including a 17-yard reception against the Packers. Ellis entered the Chief’s Week 1 game in Los Angeles off the bench. Foster did not play in any preseason games for the Steelers, but started Week 1 of the regular season at Cleveland. Foster helped pave the way for 472 yards of total offense, including 313 yards passing. Fulton started three preseason games for the Texans. The guard started in Houston’s Week 1 game at New England and paved the way for 325 yards of total offense. Gaulden played in four games during the preseason for the Panthers, earning two starts. The rookie made five tackles in the preseason. In Week 1, Gaulden made his NFL debut, coming off the bench in Carolina’s 16-8 win over the Cowboys. Hunter caught seven passes for 132 yards, including a 46-yarder against Carolina, and one touchdown in the preseason. The Virginia native made one catch for six yards in Week 1 of the regular season, helping the Steelers to a 21-21 tie at Cleveland. Jackson started three games in the preseason for Jacksonville, recording four tackles, a sack and one forced fumble. He made four tackles in Week 1 of the regular season to help the Jaguars to a 20-15 win over the Giants. James made three starts in the preseason before paving the way for 342 yards of total offense in the Dolphins’ Week 1 win against the Tennessee Titans. Johnson played in three preseason games for the Denver Broncos, recording a tackle in each outing. He did not play in Denver’s Week 1 season opener against Seattle. Kamara started two preseason games for the for the Saints, rushing for 27 yards and a touchdown on seven attempts. He also caught two passes for 17 yards in the outings. During Week 1 vs. Tampa Bay, Kamara rushed for 29 yards and two touchdowns while tallying nine receptions for 112 yards and a score. Kelly rushed 46 times for 197 yards and three touchdowns through three preseason games for the Rams. The running back did not see action in Los Angeles’ 33-13 win over Oakland in Week 1 of the regular season. Made four appearances, including one start, for the Bengals during the preseason, making seven catches for 101 yards and one touchdown. Malone saw action of the bench in Cincinnati’s 34-23 Week 1 victory over Indianapolis. McCullers played in three preseason games for the Steelers, making one tackle. The North Carolina native played in Pittsburgh’s Week 1 game at Cleveland. McKenzie made four appearances in the preseason for the Chiefs and helped pave the way for 397 yards of total offense in the final preseason game against the Packers. McKenzie did not play in the Chiefs’ Week 1 game at the Los Angeles Chargers. Moseley played in four games for the 49ers in the preseason, making six solo tackles and one interception. The rookie was signed to San Francisco’s practice squad prior to Week 1 of the regular season. Palardy played in all four of Carolina’s preseason games, punting 16 times for an average of 43.9 yards per punt. In Week 1, the veteran punter landed three of his six punts inside the 20-yard line and averaged 47.8 yards per punt. Made four appearances, including one start, for the Patriots during the preseason, making 11 catches for 126 yards and one touchdown. Patterson started in Week 1 of the regular season versus Houston, making one catch for six yards. The South Carolina native also had three rushing attempts for 13 yards in the 27-20 win. Reeves-Maybin played in three games for the Lions in the preseason, making six solo tackles and defending one pass. In the Lions’ first regular season game against the New York Jets, Reeves-Maybin entered the game off the bench. Stocker saw action in all four of Tennessee’s preseason games but did not record any stats. The Kentucky native entered the Titan’s Week 1 game in Miami off the bench and made two catches for 37 yards. Stone made four appearances, including one start, in the preseason for the Oakland Raiders before being signed to the Chicago Bears’ practice squad. Sutton played in all four of the Steelers’ preseason games, making four tackles and defending three passes. The Georgia native also had one interception for 13 yards and forced a fumble. 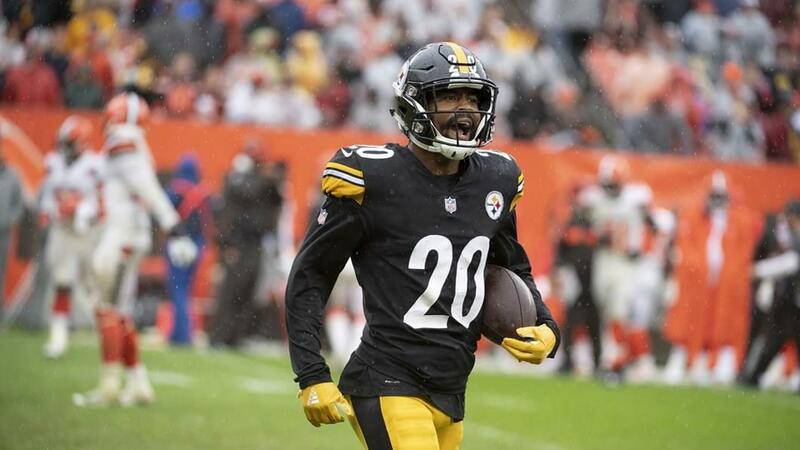 In Week 1 of the regular season, Sutton intercepted a pass and recorded two tackles against Cleveland. For the most up-to-date information on Tennessee Football, visit //UTSports.com/Football and follow @Vol_Football on Twitter.